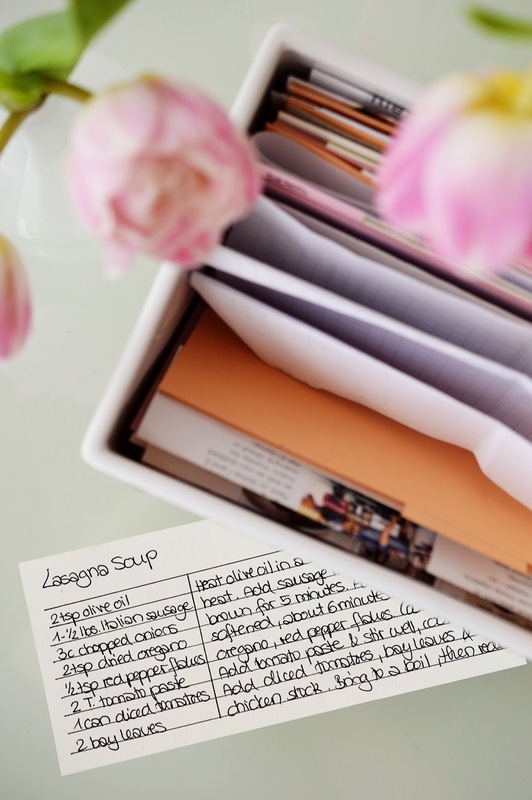 Spring is finally here, so I say it is about time we get going with that spring cleaning. 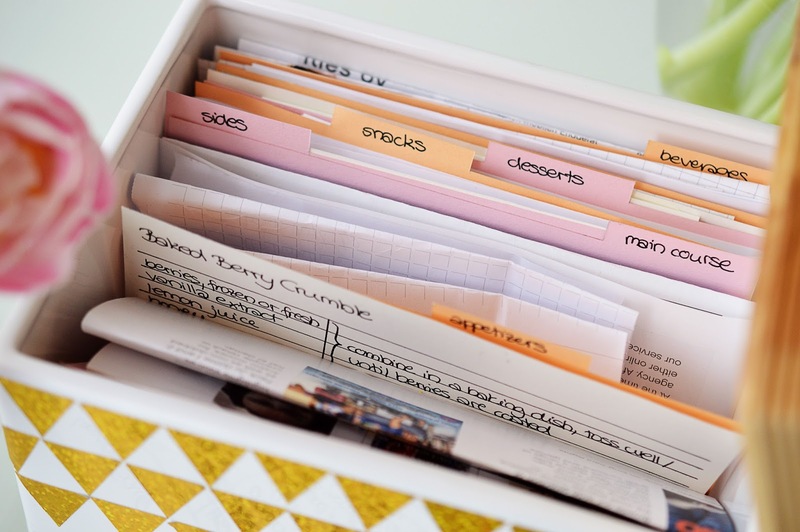 And what better way to get organized than making your very own recipe collector? Because cleaning is tiring and makes you hungry. And there is so much baking to be done in the early spring months! 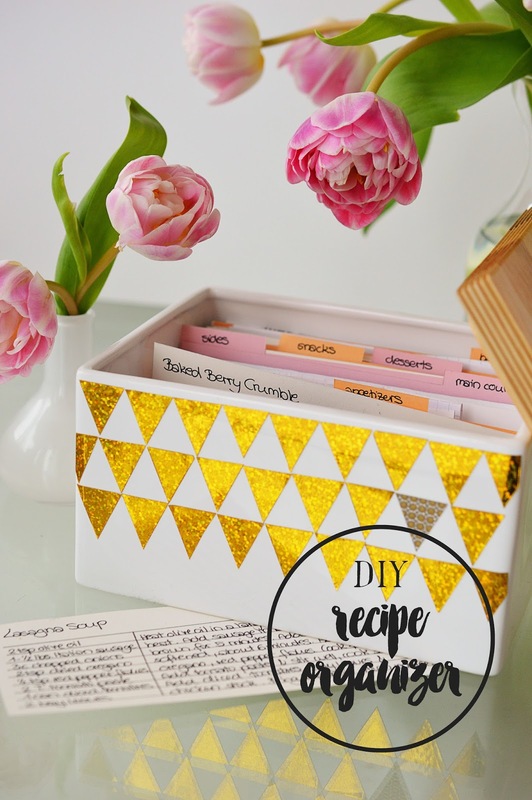 All you need is a bread bin and some craft paper. Oh ok, and a few tools. But you probably have those lying around anyway. 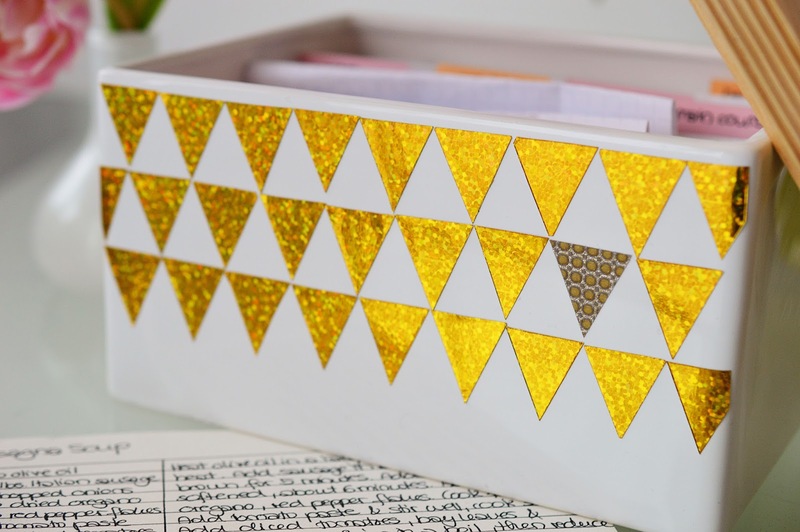 Start by cutting a bunch of isosceles triangles from self-adhesive craft paper in the color of your choice. I opted for metallic gold. If you'd like to know how to finish up the project, be sure to head on over to WayFair.co.uk for the full tutorial! Love the way you posted this DIY tutorial. So awesome. Thanks for sharing such an awesome project.